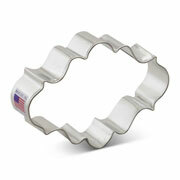 The 4 1/8" Long Fancy Plaque Cookie Cutter is one of our more versatile cookie cutter shapes. It is perfect making an assortment of decorative cookies and elaborate designs. Use it as a fancy frame, plaque or backdrop for your next cookie decorating project. 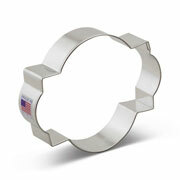 This shape is also perfect as a fondant cutter or as a shape for your next decorating or craft project. We are delighted to note that the talented Cookie Artist SweetAmbs calls this Ann Clark Cookie Cutter "one of my favorite shapes!" I love how fast my order was processed and delivered. 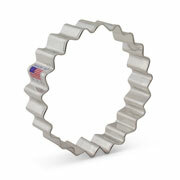 They are great cutters as far as quality. Love this shape. The length of it was perfect for the music staff I made. Fast shipping, good customer service, excellent product!